Rob Hopkins is one of the founders of the Transition movement. He has a very comprehensive online podcast series about various issues related to the Transition movement. In March 2016 Rob interviewed 3 members of Transition Galway about our recently released ‘A Vision for Galway 2030’. Below is a transcipt of the interview with the 3 members: Bernard McGlinchy (BM), Mary Greene (MG) and Caoimhín Ó Maolallaigh (COM). Transition Galway’s launch of ‘A Vision for Galway 2030’ is featured in the latest ‘Galway Matters’ show on Irish TV. The Mayor of Galway City, Cllr. Frank Fahy officially launched a new 100 page publication entitled ‘A Vision for Galway 2030’ on Saturday 28th November at the Galway 2020 Hub, The Cornstore, Middle Street. Copies of the ‘A Vision for Galway 2030’ plan have been presented to the Chief Executive of Galway City Council, Brendan McGrath as well as to Galway County Council Chief Executive, Kevin Kelly. The Mayor of Galway, Cllr. Frank Fahy will officially launch ‘A Vision for Galway 2030’ at 3pm on Saturday 28th November at the Galway 2020 Hub, The Cornstore, Middle Street, Galway. All are welcome! 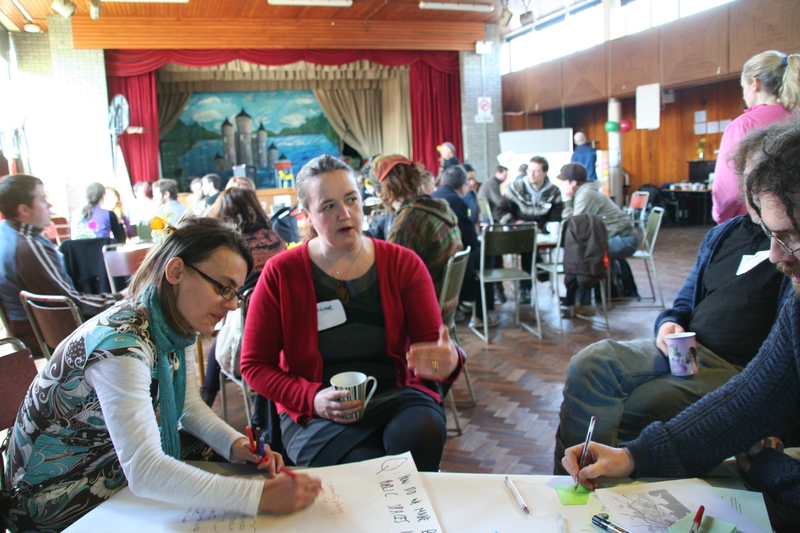 In 2013 and 2014, Transition Galway organised to a series of open, public visioning events to allow people share their ideas for a low-carbon, sustainable Galway City by the year 2030. Members of Transition Galway then compiled all of the ideas, big and small, received from the public at these sessions into one final document. The booklet is divided into eight chapters based on eight topics: energy; food and water; infrastructure; community and education; arts and culture; economics; waste; and inner transition. We have also produced eight short films, one for each chapter, outlining the solutions in each chapter. We hope that this project will in some way go towards creating a better, more resilient Galway by 2030. On the 6th April, 2013, Transition Galway hosted the ‘Galway Visioning Day’ at Scoil Chroí Íosa (Presentation Primary School) on Newcastle Road. Launched by the Mayor of Galway City, Cllr. Terry O’Flaherty, ‘Galway Visioning Day’ was an opportunity for the public to share their ideas to create a plan for a low-carbon, sustainable Galway City by the year 2030. Similar plans have been produced for Kinsale, Co. Cork, Totnes in England and many other places around the world. On the day, participants shared their ideas with others at various tables covering a range of topics such as energy, food, community and education. During intervals, there was live music and comedy provided by local performers, and the event was well attended and a great success. The hosts recorded all of the ideas generated. 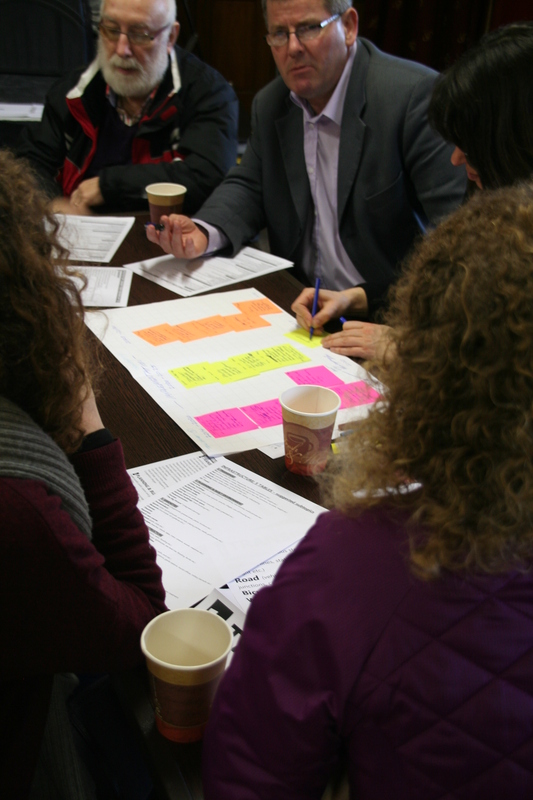 While many great ideas were suggested at the ‘Galway Visioning Day’, Transition Galway decided to go deeper into each area and create a more comprehensive plan for the city. Phase two of the process happened between March and May 2014, when the group invited the people of Galway to a series of open, free, public visioning events at the Galway Rowing Club in Woodquay. The event focused on eight topics: energy; food and water; infrastructure; community and education; arts and culture; economics; waste; and inner transition. In the months following, members of Transition Galway compiled all of the ideas, big and small, received from the public at these sessions, and via the website, into this one final document. This document has been divided into eight chapters, mirroring the eight topics covered in the second series of visioning events. Each chapter was co-written by a team of volunteers, who collaborated to bring together all of the ideas relating to that topic as clearly and coherently as possible. So that as many people as possible can access the solutions, the final document will be available online to download for free, and printed copies will be distributed to local schools, libraries and other appropriate places in Galway. Copies will also be issued to all local politicians, as well as to staff members of the City Council. Transition Galway wish to thank all supporters who helped with this project. We especially wish to thank the public for all the practical and creative ideas that we hope will help make Galway a more abundant and fulfilling place to live in for all of us in the future. We hope that this document will in some way go towards creating a better, more resilient Galway by 2030. However, only by starting today and by working together will we create, to paraphrase writer Charles Eisenstein, the more beautiful world our hearts know is possible. 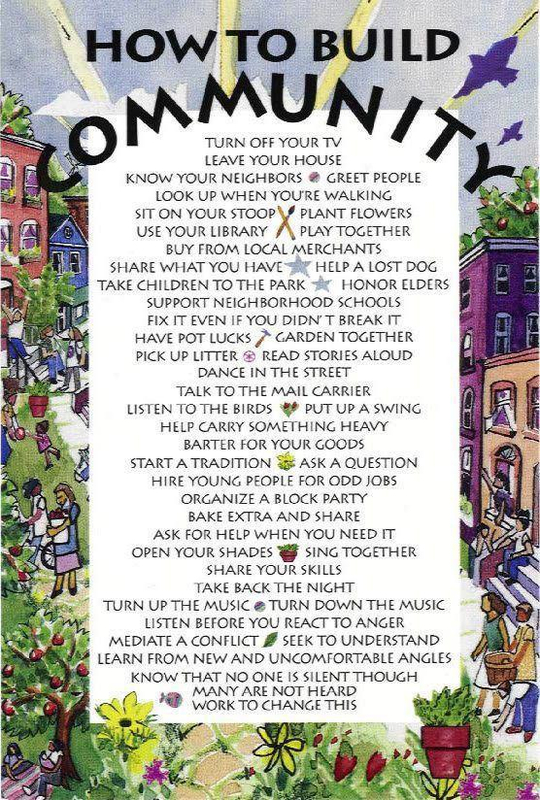 Join us in creating that world. Following on from the 4 days of visioning sessions we are meeting to work out the next steps for the group at ‘The Secret Garden’ café on Williams Street West on Monday 26th May starting at 7pm. All welcome! (iii.) Format(s) – small booklet, infographics poster, book, webvideo etc.